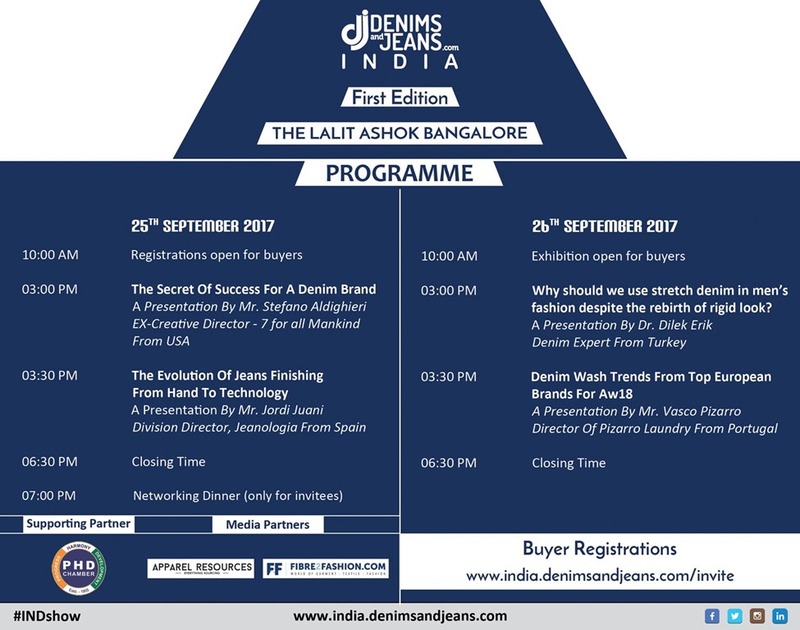 The first edition of Denimsandjeans India show is set to launch on September 25-26 at Hotel Lalit Ashok, Bengaluru. After running over 9 shows in Bangladesh and Vietnam, Denimsandjeans brings its first edition to India enabling a niche Denim Trade platform to come up in India. 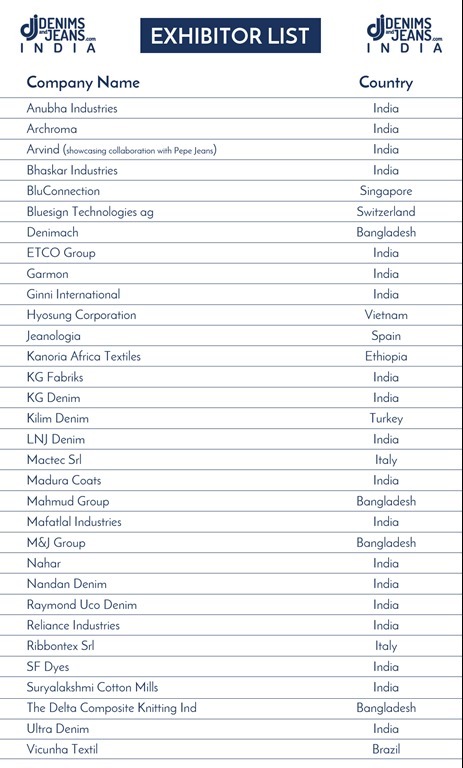 The show will most of the premium denim companies from India besides many other companies coming from Bangladesh, Turkey, Spain, Switzerland, Brazil, Italy, Ethiopia etc as participants. With 32 companies, the show will be a niche boutique show with a very informal ,denimish environment !The organizers have received unprecedented response from the visitors and all the major retailers and brands including H&M, Marks & Spencer, VF Corporation , Landmark Group , Li Fung , GAP Inc , Zara , Tesco , Pepe Jeans , Killer Jeans , Spykar , JC Penny , Target , Benetton , V-Mart , Shopper Stop , Reliance Trends , Myntra , Hypercity Retail, ITC Limited , Carrefour, Levis, Marks and Spencer , C&A , Pantaloons , Tata CLiQ,Westside and many factories, garment producers, large traders and tier 2 brands are expected to visit the show. 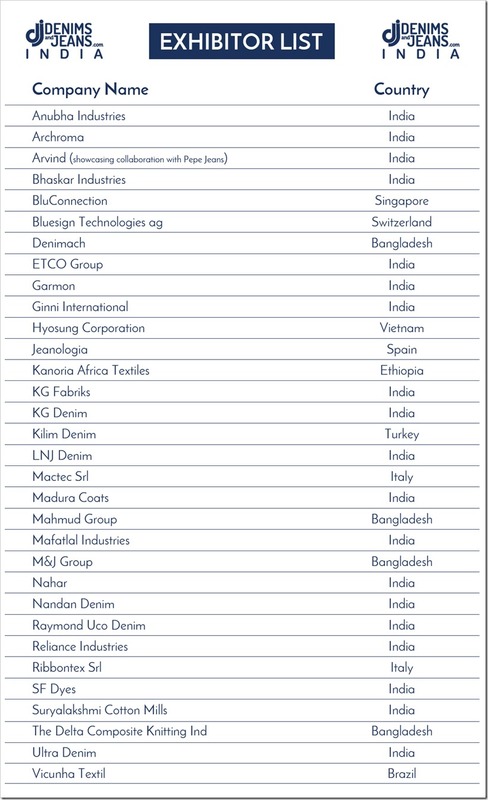 It needs to be remembered that India is the second largest consumer of denim apparel globally as well as second largest producer of denim fabrics after China. There is immense potential in the Indian market as the young Indian consumers show their preference for jeans over many other apparel. In 2016, the Indian retail market stood at a whopping USD 641 billion. With a compounded annual growth rate of 10 percent, an India Business of Fashion 2017 report estimate that by 2026 the retail market in India will be worth USD 1.6 trillion. Retail trade has already been acknowledged as the country’s largest service sector employer. During this year’s budget, the government threw a surprise by declaring 100% FDI in multi-brand processed food retailing. Thus sending a positive sign for global retailers to set up shop in the country. In FY16 32 foreign fashion retailers set up online shops in India, while 22 chose the brick-and-mortar route. It is worth noting that as many as 44% of the foreign fashion online retailers were from the UK. Also, most of the brands which opted to set up stores chose Mumbai and Delhi as their preferred geographies. You can read the detailed report on Indian Apparel Retail Market here. Besides the show , the event will have important talks on the latest trends, technologies, sustainability, latest innovation and developments by renowned global experts from Turkey, Italy, Spain and US on both days. Stefano Aldighieri – ex Creative Director of 7 for all Mankind , with his vast international experience , will talk about the secrets of making a Denim Brand Successful. Dr Dilek Erik from Turkey will share her ideas on why Rigid denim is coming back but Stretch is still being used. 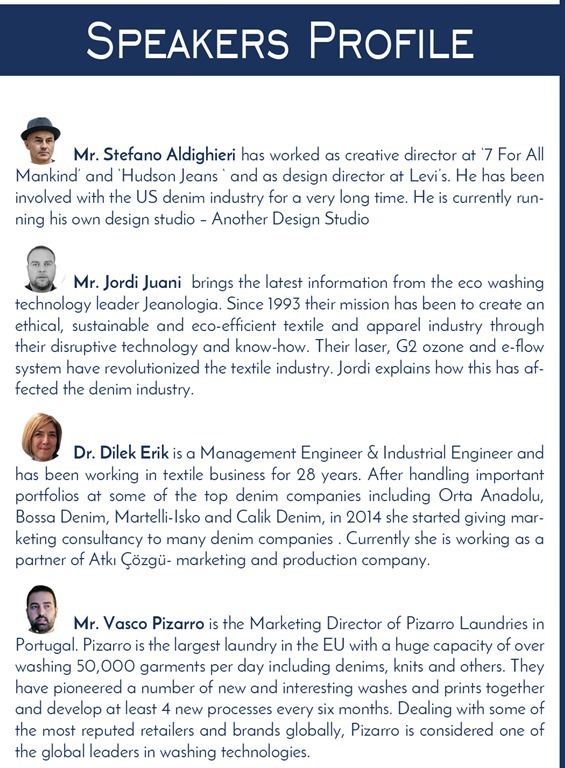 Jordi Juani from Jeanologia will give details about Evolution of jeans finishing from hand to technology and how this has changed the jeans world. 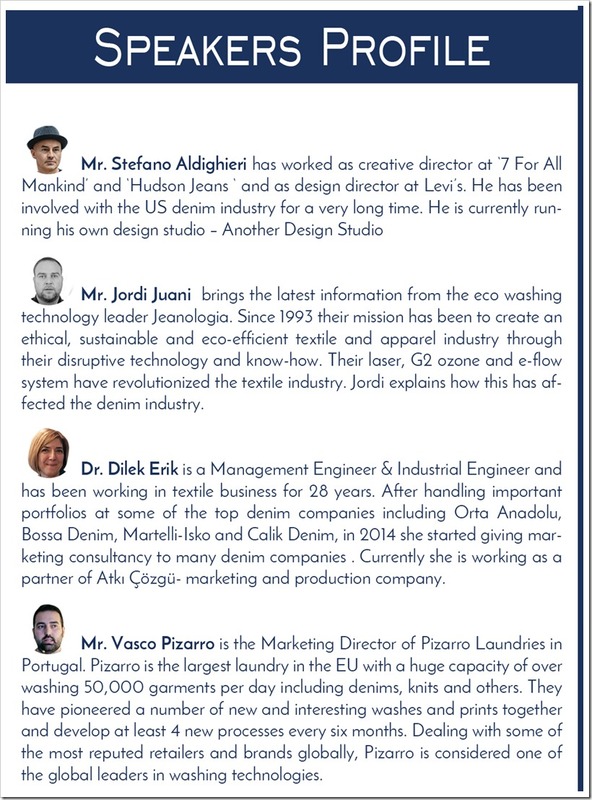 Vasco Pizarro, the Director at the largest European Laundry will speak about Denim Wash trends from Top European Brands for AW18 season. A trend area on the major trends emanating globally will be created where latest looks in various categories will also be created at the show so that the visitors will be able to savor the latest global looks. 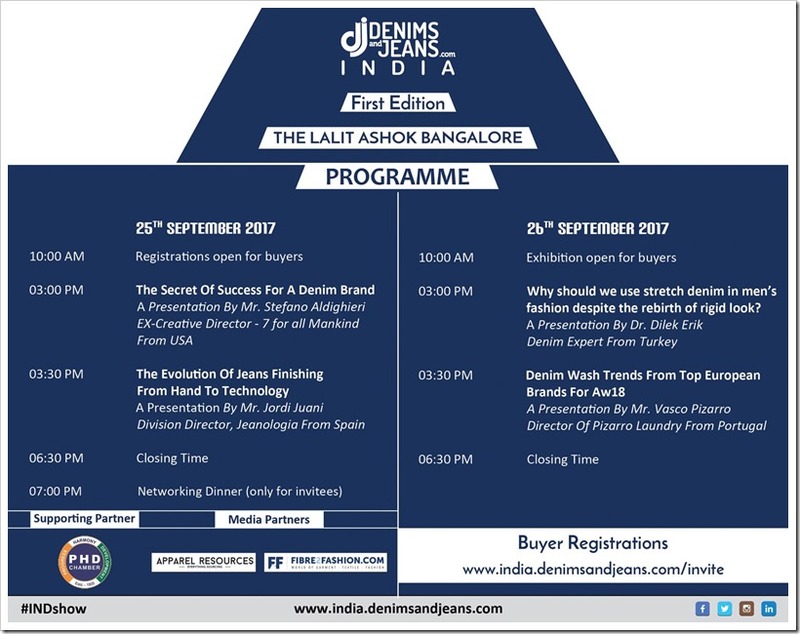 The main idea behind Denimsandjeans show is to create a platform where the best in class denim products and technologies can be displayed and knowledge can be shared at one place. The show will bring together all segments of Indian denim industry including Denim Brands, Retailers, Traders, Second Tier brands, Garment manufacturers and exporters , Buying Houses , International buyers and others. 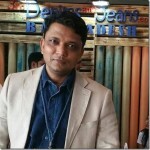 The show organizers hope that it will bring increased attention to great possibilities of denim business from and in India ! The show starts on 10.00 AM and closes on 06.00 PM on both days. The entry in the show is mainly for buyers who may register online at www.india.denimsandjeans.com/invite to get the official invitation from the show. You can check the schedule of the show below . Click here to get the official Invitation Of the first edition of Denimsandjeans India !